Ladies! 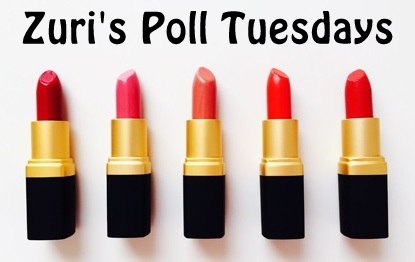 Take this simple quiz to find out what clothes look good on you, what hairstyle looks awesome on you and, what color makeup should you be going for while getting ready for a party! If most of your answers are As: Go for a simple hairstyle, perhaps curls and waves. Don’t go for a short haircut. Besides, don’t be too shy to put your hair up (like an updo)! For makeup, a little pink or peach blush will make your skin look gorgeous. Go for pastel colored eyeshadow and just a bit of a mascara. Use pink gloss. Wear a soft pastel colored outfit and you are good to go! If most of your answers are Bs: Long tresses will enhance your flirtatious personality ;)..You can style them in soft waves, or just straighten them for a chic look. Go for brown or gold eyeshadow, brown blush and hot smoky eyes. Apply the trendy plum or red lipstick.. Wear blacks, browns and team the outfit with a thin gold neck piece/earrings or just a simple bracelet. Our party animal is ready to rock in an elegant way! If most of your answers are Cs: You would look good with black or dark brown hair, cut asymmetrically (to give you an edgy look). For makeup, you can pretty much wear what you want because you are creative enough to style yourself in a boho-chic way (and that suits you a lot). We recommend you opt for blue and green eyeshadow and winged eyeliner. Don’t make eyeliner too thick! Go for cool (read icy) tones rather than pastel colors and avoid gold, brown and other earthy tones.